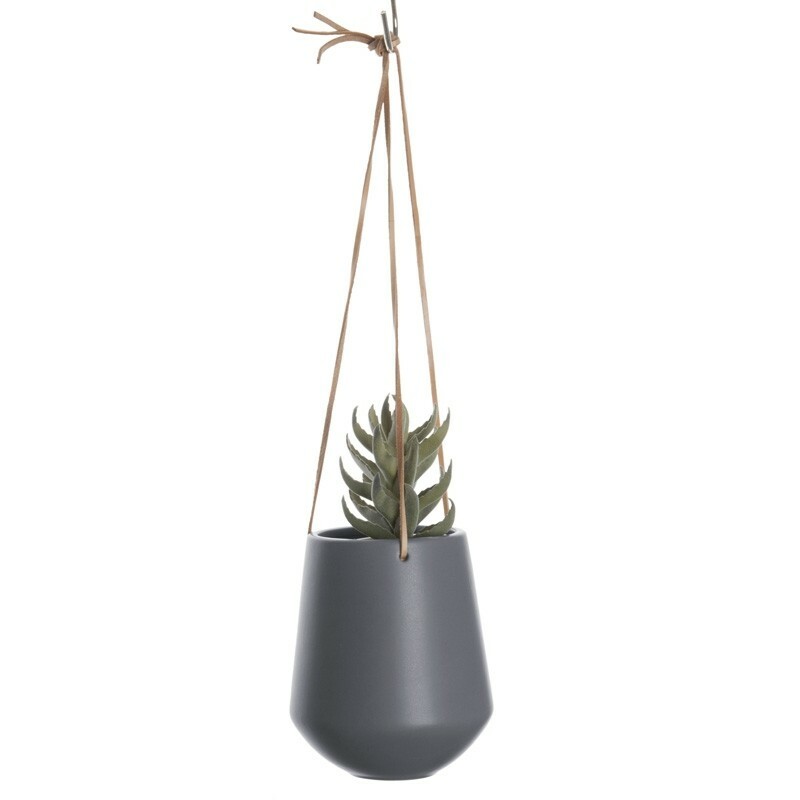 Bring out the beauty of your home and make the most of every inch of space with the Skittle Large Hanging Plant Pot in Dark Grey! 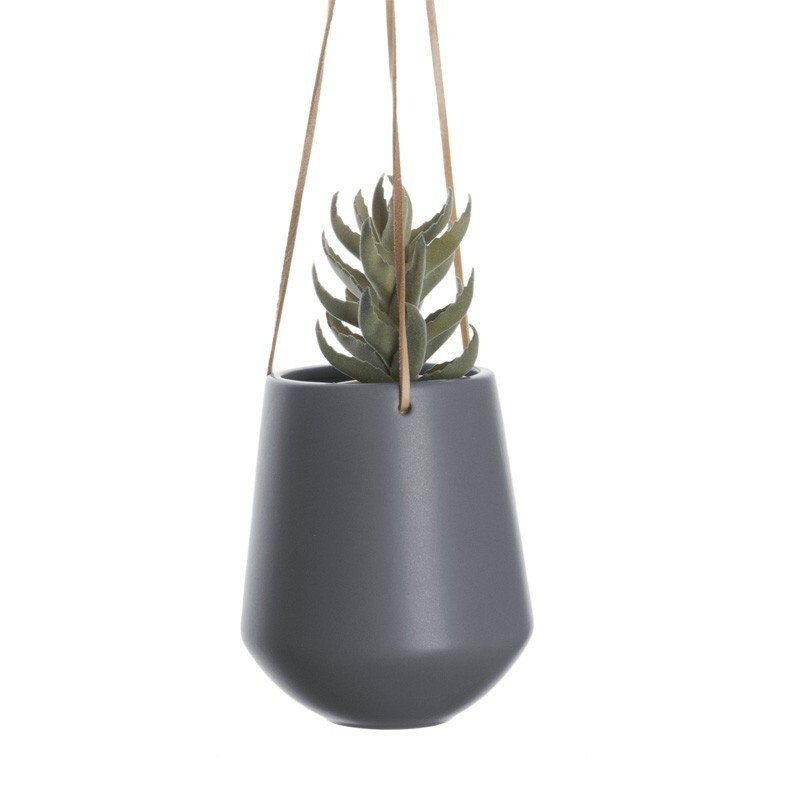 Measuring 15cm x 13.5cm, this plant pot is not only practical, but also unique in its design. 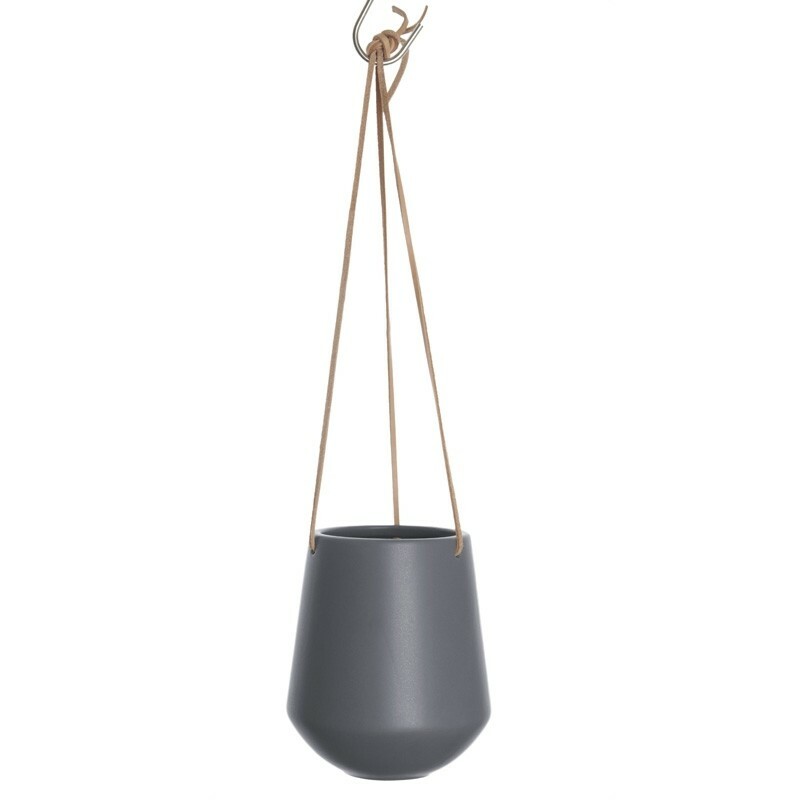 It features a rounded bottom and a tapered top perforated at the rim so that three leather cords about 66 cm long can hold it up in the air with a simple knot. 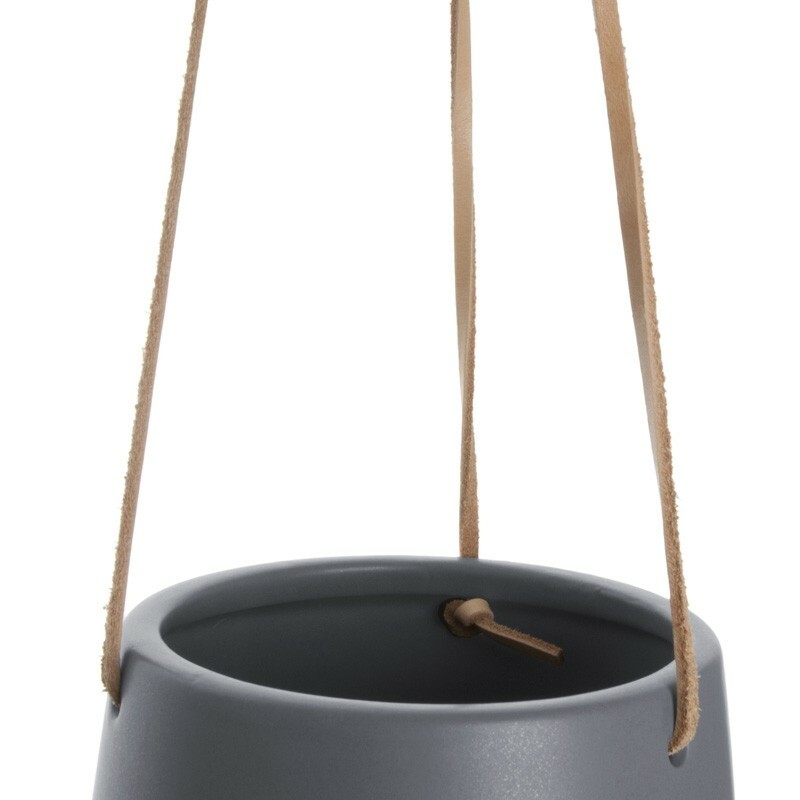 Inspired by Scandinavian design, the Skittle pot comes in a range of sizes and shapes, as well as a variety of earthy and neutral colours to complement a natural décor with its understated elegance and its whimsical design. Show off your collection of succulents and trailing plants, or keep your herb garden on display. Wherever you choose to hang your Skittle, be it the kitchen, the patio or the stairwell, your home will be all the more beautiful for it. See the other colours and sizes in the Skittle range on the right!